The addition of honey gives you a gentle and moisturizing soap that will lather well and imparts a light, warm, sweet scent. Beeswax adds some hardness and colour to your soap. Hi I have bought your honeycomb soap previously and i would just like to say that it is the nicest soap I have ever used...my normally picky partner raved about it and reckons that it helps his skin heal after a particularly hard day renovating!! 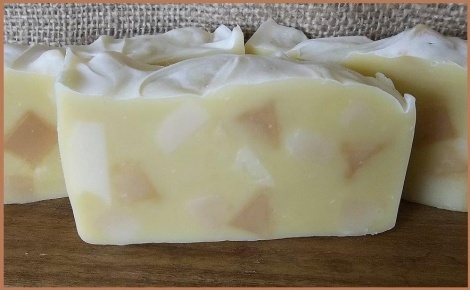 I cant wait to try some of your Calendula soap!! !